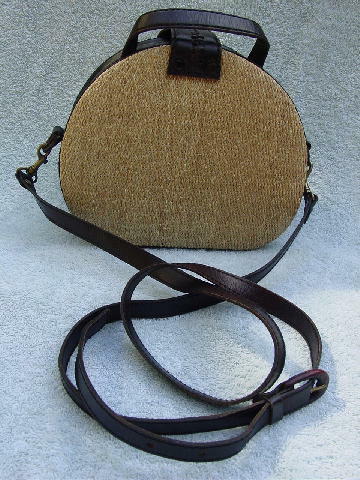 This vintage arch-shaped purse has a natural color woven twine front and back. 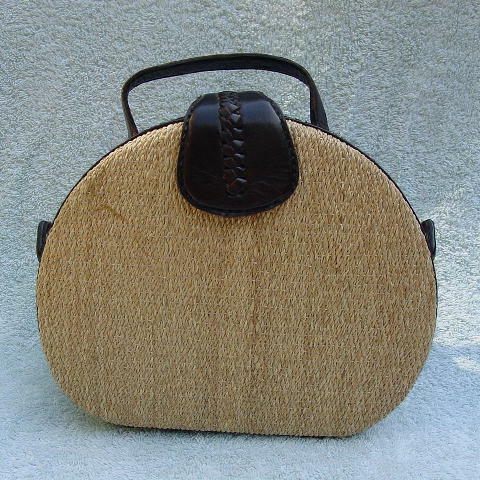 The sides, top and bottom, handle, loops, shoulder strap, and tab closure are all in a deep dark brown leather. 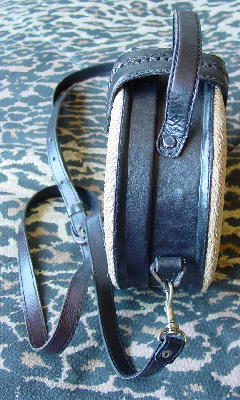 The 53" long buckle strap is detachable (there are two brass-tone hooks) and if you want to make it shorter, there are 4 additional holes 1" apart. The 6 1/2" long tab closure has leather strips braided in a vertical pattern. The magnetic closure has Italy etched in it, and is under the tab. 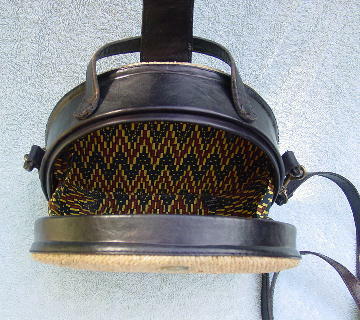 It has a fabric lining in blue, maize, and golden brown, and it has a tag that says Hand Made in Indonesia, and another tag that says leather craft. There are four brass feet at the bottom.